I finally got around to decorating our living space. I had Valentine's Day garland and bunting up around the area we had craft night but last Wednesday I finally got around decorating our space. I kept things simple with just a little touch of V-Day. I used my Silhouette Cameo to cut out the hearts and bunting flags. I cut out all the hearts for my Craft Night and used the left overs for my Heart on Heart Bunting. I downloaded the printable in the picture frame that says "Love is in the Air." from Pen and Paint. I think I'll keep it up through part of spring too. I think it's super cute! 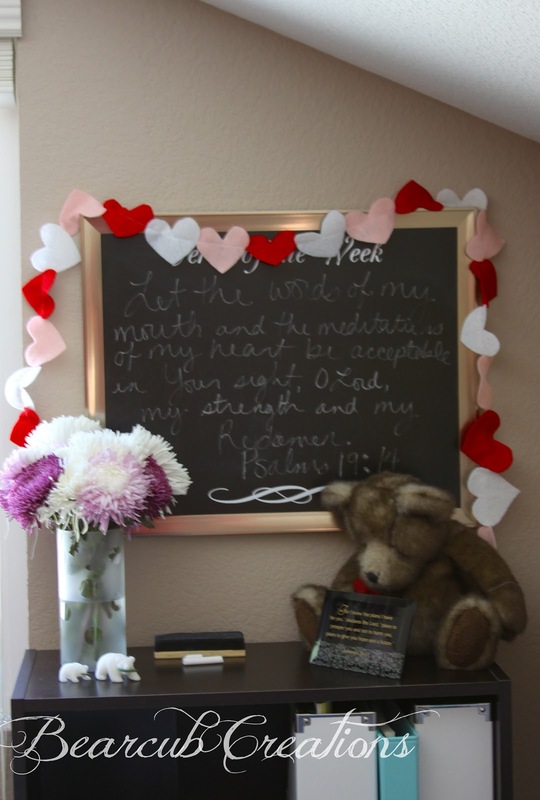 In our little corner by our couch, I added this felt heart garland. I used this tutorial. It is super simple and turned out really cute! I added my frosted glass vase with some flowers and love how this little space looks! I also made this felt ball garland with felt balls from The Felt Pod. I had it hanging above my window in our living room but moved it over the dining room table for the craft night and loved it there so it has a new home there! I love adding little bits of decorations for holidays! It just feels so nice and put together! 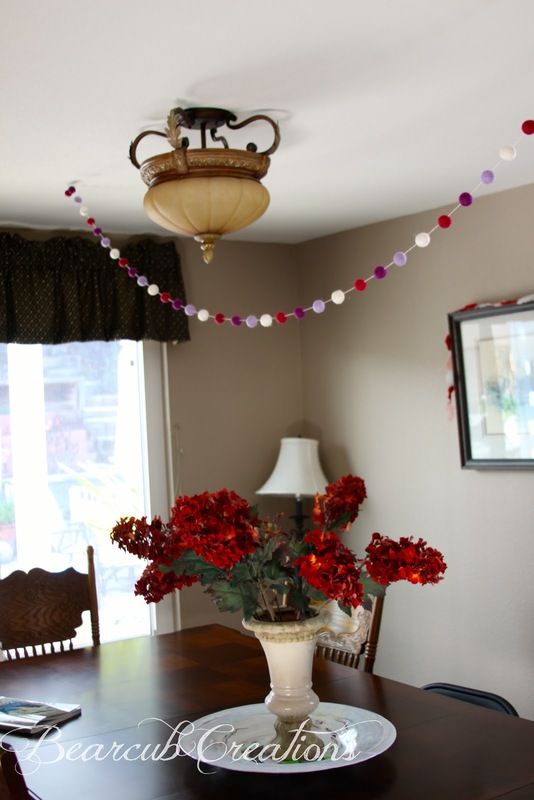 Did you decorate for V-Day?